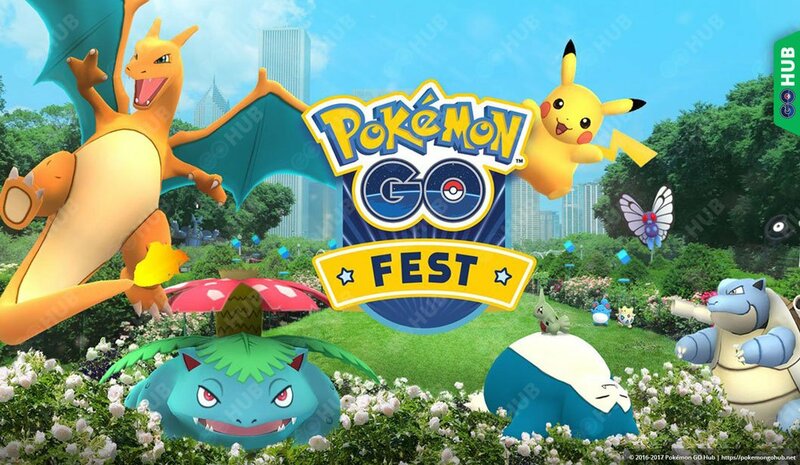 GO Fest is the biggest official Pokémon GO event, taking place in Chicago on 22/07/2017. The event features activities for both attending and worldwide player. GO Fest attendees to unlock can worldwide bonuses, and players around the world collaborate to increase the duration of these bonuses. A special, not yet released, Mystery Challenge takes place if players manage to unlock Golden Tier bonuses. According to the map, each team will have it’s own lounge area, occupying 3 corners of the main park area. Six 60″ monitors (screens) will be placed at each Team Lounge and a Gym Video Pillar will be placed in front of the Lounge. The Petrillo Music Shell will serve as the event’s main stage, and will feature an “ultimate gym.” The main stage is placed in the fourth corner of the park, together with a huge 12’x20′ video screen and the mysterious Ultimate Gym Video Pillar. If any special Pokémon are to be released during the GO Fest, this is where it will happen. Unsurprisingly, a number of PokéStops will be employed as Points of Interest in the PokéWalk event taking place during the GO Fest. The route is noted on the map and includes both park areas. No special event PokéStop drops are confirmed yet. It seems there is no WiFi coverage along the entire PokéWalk, but only at select locations.